On March 25th 2018, two sprints and a 3 hours endurance was organised by the Spa-Francorchamps fan club. DnA Motorsports aligned Arnaud as a driver for both sprints and the endurance was covered by Jean-Frédéric and Arnaud. The whole track was reserved for this event. Luckily. Briefing overan, timing system “crashed” for obscure reasons… and the final results on the paper of the sprints were erroneous. Additionally, this outdoor track is designed for 2-strokes karts, with a high-percentage of full-throttle… having a good-enough kart was a prerequisite to reach to the first positions. The 3 hours endurance was split in two sessions of 1h30 by a kart change. Lucky draw, DnA Motorsports get two good karts – #8 and #27 – which helped Jean-Frédéric and Arnaud to finished at the 4th place. Satisfactory result, despite the value for money question. 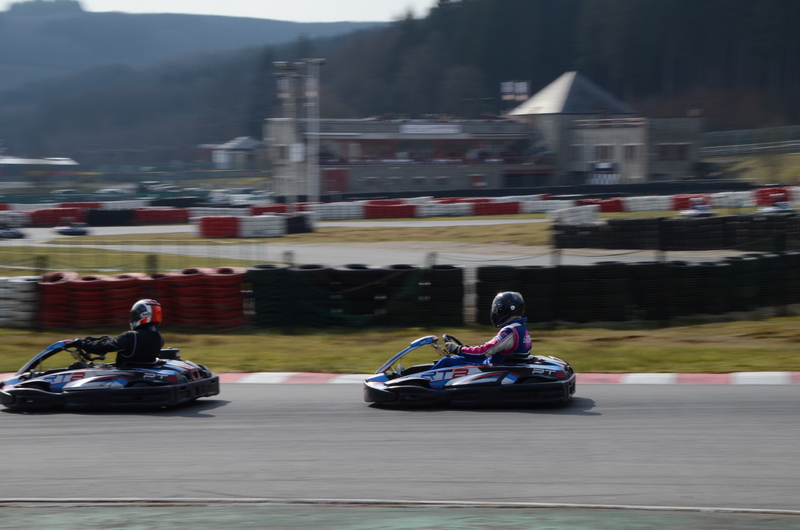 DnA Motorsports is now considering to take part in the Private kart 24h Spa-Francorchamps race… Stay tuned.